From the forgotten women behind the British Black Panthers to Berlin’s battle over colonial-era street names, here are this week’s top picks in imperial and global history. First confession, I don’t deny how hugely talented she is but I am not exactly the world’s biggest Beyoncé fan (cue face with open mouth emoji). When her now infamous Super Bowl performance landed in our Twitter feeds last month, it seemed everyone and their dog launched into a critical analysis of her true intentions (including me). Her performance and the video for Formation drew on lots of topics involving African American struggles from Ferguson when the young boy in her video puts his hands up in front of the row of police officers, the politicisation of hair with the lyric ‘I like my baby hair with baby hair and afros’ referencing the negatives comments made about Blue Ivy’s hairstyles, and the sinking New Orleans police car where the aftermath of Hurricane Katrina is still affecting its predominantly black American inhabitants. So, the arbiters of political correctness gone mad have apparently decided we need a quick top-up lesson on Australian Indigenous history. Or something. It’s not quite clear what, precisely, they think. 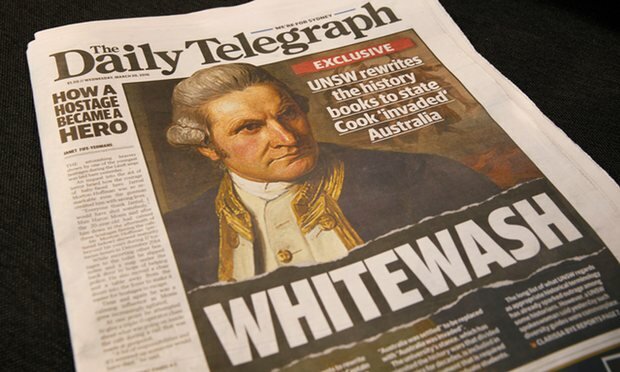 “University of NSW students told to refer to Australia as having been ‘invaded’”, screams today’s headline in Sydney’s Daily Telegraph about a guide at the university for “appropriate language use for the history, society, naming, culture and classifications of Indigenous Australian and Torres Strait Islander people”. BBC Radio 4’s Making History programme recently considered the plight of black historians, taking six minutes to explore the question of whether black historians exist in the UK. A number of white historians gave their perspectives on the issue but the views of black academics like Professor Hakim Adi from the University of Chichester and Dr Olivette Otele from Bath Spa University were also taken in to consideration. Prior to the programme there was a lot of circulation via social media (I personally received about 5 emails) trying to encourage black historians to come out of the woodwork and make contact with the producer to let him know that we existed. I sent an email with the work that I have done over the last fourteen years through my social enterprise Every Generation Media; from talks, workshops, articles, publishing websites such as 100 Great Black Britons, books When We Ruled, Caribbean in Sepia and Masters of the Airwaves. I got an email back reassuring me that I was a black historian!!! Australia was not settled peacefully, it was invaded, occupied and colonised. Describing the arrival of the Europeans as a “settlement” attempts to view Australian history from the shores of England rather than the shores of Australia. 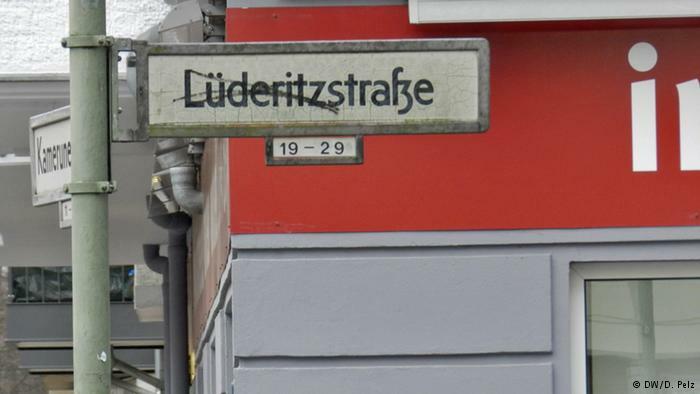 Lüderitzstraße, Nachtigallplatz or Petersallee may seem like perfectly ordinary Berlin addresses. At first sight, they don’t look like places that could generate much controversy. Take Petersallee, for example – white apartment blocks line the street in Berlin’s Wedding area. Paint peels off the outside of a kiosk that doesn’t look like it’s going to open any time soon. Residents are out walking their dogs in the early afternoon rain.